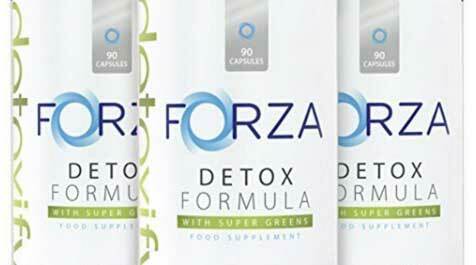 The name says it all, Forza Detox Formula is a detox supplement produced in the UK by Forza Supplements. The formulation contains a number of natural ingredients, but chlorella is probably the most important one because it has a good reputation for detoxifying the gallbladder, kidneys and colon, while also encouraging improved liver function. Detox supplements, like Forza Detox Formula, are primarily designed to purge the body of the potentially harmful toxins that can build up over a period of time. 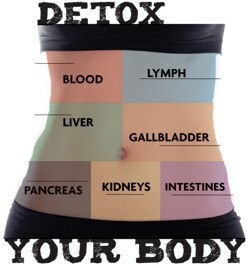 However, the detoxification process can also offer a secondary benefit in the form of weight loss because when the body is free from toxins the metabolism improves and the body is able to digest food more completely, assuring the available nutrients are more likely to be used as a source of energy rather than being stored as body fat. Each serving provides 200mg of chlorella to promote body detoxification. Chlorella works by beneficially affecting the kidneys, gallbladder, and liver. Chlorella (200mg): A type of algae that grows in fresh water. It has many medicinal uses and is often used to encourage the growth of good bacteria in the intestines and for detoxifying important organs such as the liver, gallbladder and colon. However, the quality of chlorella can vary considerably, depending on where and how it was cultivated, harvested, and processed. Psyllium Husk (160mg): A high fibre ingredient that is often used as a treatment for constipation and can increase stool bulk. Alfalfa (150mg): A plant extract that is rich in vitamins, minerals, natural fibre, and antioxidants. Alfalfa has a long history of medicinal use and practitioners of traditional Chinese medicine value it highly as a treatment for kidney stones. Scientific evidence is lacking, but alfalfa is also reputed to improve digestive health, fortify the liver, and purge the body of harmful toxins. Fennel Seed (4:1) (100mg): Seeds taken from a flowering plant that is closely related to the carrot. Fennel seeds are a good source of vitamins, minerals, and antioxidants. They also contain an essential oil that can inhibit muscle spasms that may otherwise interfere with the digestive process. Although Forza fails to explain the significance of the “4:1”, it suggests they may be using a concentrated form of the ingredient that is four times as potent as standard fennel seeds. Garlic (100:1) (80mg): A natural antibiotic, garlic is also rich in vitamin C and antioxidants that can help purge the body of free radical toxins. Again the “100:1” is not explained, but we are presuming the ingredient is concentrated to 100 times its normal strength. Ginger Root (20:1) (80mg): An ingredient that can aid digestion and may also improve the immune system. The form used here may have been concentrated to 20 times the potency of normal ginger. Green Tea (50mg): Green tea is packed full of health enhancing antioxidants that can help purge the body of harmful toxins. It also has the ability to boost the metabolism and encourage fat burning. Bladderwrack (40mg): A species of seaweed that often added to diet pills because it is a good source of iodine. The thyroid gland produces hormones that are necessary for a healthy metabolism, but the output can be limited by a lack of iodine in the diet. Prune (2:1) (40mg): Prunes are renowned for their ability to banish constipation and “get things moving again”. Citrus Pectin (20mg): An ingredient that is reputed to be capable of purging the body of toxic heavy metals including nickel, mercury, arsenic, and lead. 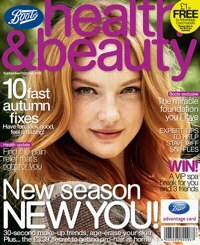 How to Take Forza Detox Formula – Two capsules are required each day and should be taken with a glass of water. No other instructions are provided. 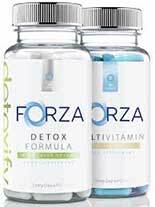 Customer feedback suggests Forza Detox Formula may be a hit or miss product that might work for some users, but not for others. Forza issue a warning against exceeding the stated dose, and point out the capsules are suitable for vegetarians, but fail to state if side effects are likely to be an issue. 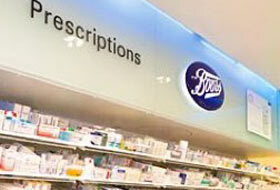 However, the formulation is unlikely to be suitable for pregnant or breastfeeding mothers. People who have existing health problems, or are taking medication, are advised to check with their GP prior to commencing supplementation. Forza Detox Formula is not backed by a money back guarantee. A (90 capsule) bottle of Forza Detox Formula can be purchased from the manufacturer’s website for £18 or from the Amazon marketplace for £18.90. 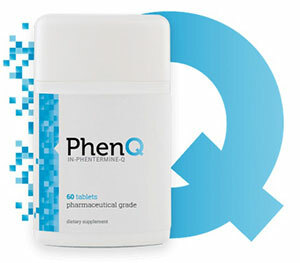 If you are researching diet products (and detox products) then PhenQ should figure prominently on your list. PhenQ is multi benefit and is suitable for just about everyone – it has a unique action that can burn and block body fat and suppress appetite while also detoxing and fighting fatigue. Digestive illnesses can affect quality of life and cause enormous pain and discomfort to everyday living. Digestive problems can range from mild constipation to severe irritable bowel syndrome. Sometimes conventional medications are not enough to keep the problems at bay and some can even exacerbate the condition. Probiotics are renowned for their benefits to the digestive system and their natural ability to treat various illnesses by regulating the gut’s delicate balance. 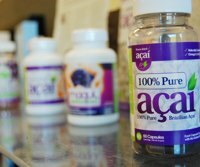 Avita Shop has unveiled an exclusive new supplement; Probiotic & Fiber. Probiotic & Fiber is specially designed to treat digestive illnesses, improve digestion and ease pain and discomfort, by using the power of nature; probiotics. Probiotic & Fiber harnesses the use of selected probiotics that helps to control the symptoms of various digestive illnesses while preventing pain, thus preventing further flare ups. And Fiber; Apple Pectin, Psyllium Husk, Inulin and Cereal Bran. Fiber is essential for those suffering from digestive discomfort and can help to maintain normal bowel movement and function. Additional ingredients include; Shitake mushroom which is packed full of antioxidants which is excellent for the whole body and helps to maintain a healthy, strong immune system. Peppermint soothes and relieves bowel pain and discomfort, whereas the inclusion of Spinach, Broccoli and Blue Green Algae replaces the essential vitamins and minerals that are quite often destroyed through over-boiling when cooking. 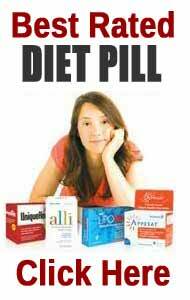 It is recommended that 1-2 Probiotic & Fiber tablets are taken daily after meals. It can be taken twice a day for a short time after completing a course of appropriate antibiotics. 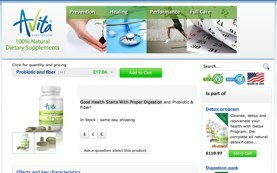 Probiotic & Fiber can be purchased worldwide from the Avita online shop. For a one month supply, prices begin at $25.65 USD/£16.63 GBP. Other packages are also available. This is ideal for anyone suffering from digestive issues or anyone who wants to improve their overall health. Shipping is fast and discreet, with a range of shipping methods to suit you. Anyone searching for a completely natural solution to their digestion problems can surely benefit from Probiotic & Fiber.